Have you been out doing any bird watching this summer? Spotted anything cute? How about this Your so Tweet Necklace. You can score your very own in my Etsy store or you can read my tutorial from Crafts n’ Things Magazine and make your own. 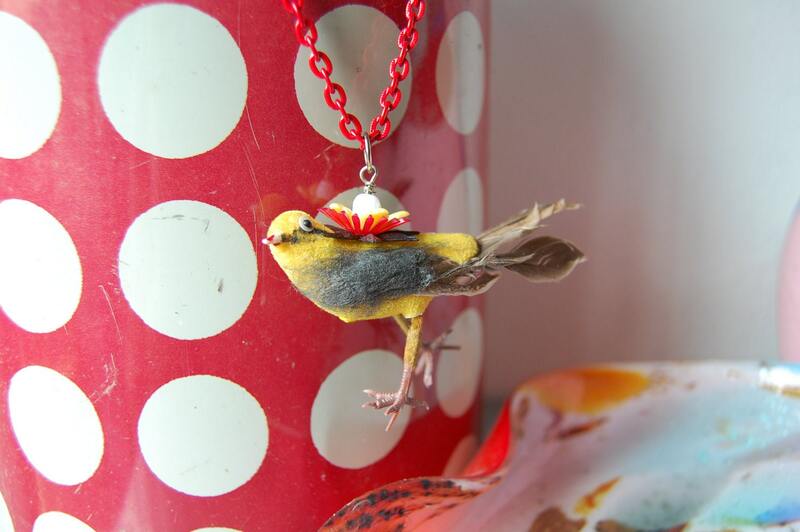 I keep seeing Cardinals and Blue Jays hopping around on my fence, it’s put me in the mood for some bird jewelry. Posted June 29, 2011 & filed under etsy, Jewelry.